This article helps you to how to low blood pressure and how to lower the blood pressure or maintain the blood pressure. The number of people living with high blood pressure worldwide has doubled over the last 40 years and high blood pressure is the leading cause of heart disease and stroke high blood pressure is no longer a problem of the Western world or wealthy countries, it is a problem of the world's poorest countries and people as well. Men have higher blood pressures compared to the woman in most world regions. Wha-wha describes blood pressure as the force of blood against the walls of the arteries that circulates through the body, high BP or hypertension is the constant pumping of blood through vessels with excessive force, high BP is caused by a number of factors including low nutrient intake, poor diet, high in sodium, obesity, smoking, lack of physical activity, chronic medical problems or a family history of high BP, over time high blood pressure can cause and Lodging or weakening of the heart which can lead to heart failure it can also lead to formation of abnormal ballooning in the arterial walls in the blood vessels and narrowing of vessels in the kidneys which can cause kidney failure and also now narrowing of arteries throughout the body especially in heart, brain, kidneys and lungs which limit the blood flow to those organs bursting or bleeding of blood vessels in the eyes which will lead to blindness or changes in vision research shows that about 50% of people with high BP fail to control their condition either because their inter wear of the problem or they haven't made a lifestyle change to promote overall heart health, having your blood pressure checked regularly and knowing your numbers is very important in preventing damaged and more serious health problems. at the same time each day check your BP two or three times each time you sit down to measure it wait one minute between each reading be sure to track your measurements by either writing them down in a journal or using an online application. 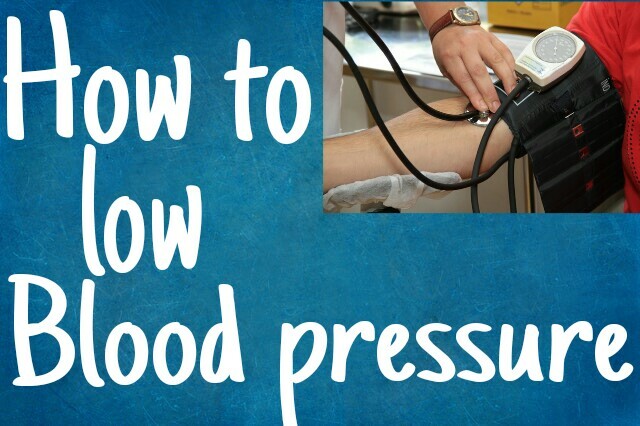 Here are five proven ways to normalize your blood pressure. You can raise your Blood pressure to alarming levels just by thinking or stressing about events, imagined events have as much as physiological effects as real ones, mindfulness training this focuses on being present in the present moment is also another strategy that can be very helpful learning how to manage stress relax and cope with problems can improve your emotional and physical health. Mindful meditation help in which you can't consciously focus your attention on specific thoughts or sensation is also helpful . Breathing techniques can help you slow your heart rate and ultimately your blood pressure learning to breathe correctly can improve your overall feeling of calmness as the last balance your nervous system. listening to music or focusing on something calm or peaceful to reduce stress is also very helpful. Vitamin C studies have linked higher levels of vitamin C to healthy BP. Research found that and dye oxidants like vitamin C help regulate BP by protecting your body's supply of nitric oxide a molecule that relax your blood vessels. This powerful vitamin B widens your blood vessels which helps you maintain healthy blood pressure. This also helps keep the homo cysteine levels low and improves the function of the cells lining your arteries. The - diet which stands for Dietary approach to stop hypertension was first created by researchers to help people control with the help of healthy food which comes with high nutrients value with reducing intake of empty calories high in sodium, added sugar, refined grains and unhealthy fats in addition to lowering Blood pressure – tight also aids in weight loss lowering cholesterol and controlling diabetes the goal of the diet is to involve increasing the intake of nutrients like potassium, calcium, magnesium, fiber and protein. All of these are important for maintaining general heart health. The foods most emphasized on the -diet include fresh vegetables and fruits especially those high in potassium which lessens the effect of sodium like green vegetables, bananas and sweet potatoes. Low-fat dairy products ideally which are organic and always unsweetened. lean protein foods, 100% whole grains, beans, legumes and also healthy fats like olive oil, nuts, avocado and seeds. Regular physical activity can lower high BP and also reduce your risk for health problems it is helpful to check with your doctor about how much and what activities are safe for you unless your doctor tells you otherwise try to get at least 30 minutes of moderate intensity activity on most or all days of the week you can do it all at once or break it up into short periods of at least 10 minutes each. Moderate intensity activities like walking, riding your bike, working in a garden and cleaning in the house, studies also indicate that aerobic activities they increase your heart and breathing rates and are most beneficial for lowering blood pressures. If your doctor agrees you also can go for intense - activities like jogging, swimming and playing sports. Potassium is an important element and high potassium foods such as avocado and melon, they help contract the effects of sodium and guard against hypertension. some of the best potassium rich foods include coconut water, avocados and bananas. Coconut water is a great choice if you want to drink throughout the day. another way to use coconut water as the liquid base for your smoothie in the morning. Try to not use Supplements for potassium eat real potassium contain natural foods. By slowly making these changes to your daily habits you can create new healthier routines and a much healthier you.I hope you will follow these step to lowering your blood pressure.